Is comfirm it's not working. I have tried this as well and it hasn't worked. Getting to become pretty disillusioned waiting for a fix as has been a great phone until I no one could hear me!! What's an OTA update? i get an archive with several files in it. don't know more. I'll follow the tutorial and gave a feedback here. Hello i didn't succeed to get my phone updated with any tutorial, not that the method is wrong, but because i'm not a informatic crack, i don't understand how to proceed, it's too complicated! Please give us an update easy to install!! Your phone will tell you when an update is available, you don't have to do anything. Just be sure to be under a wifi network. Nothing more. I have the same problem with my BV9500. But I don't think it's the microphone to blame. I used a call recording application on both BV9500 and another phone that works perfect (it's a BV6000 with Marshmallow on it) and called from bv9500 to bv6000, answered the call then I walked away and start talking on the bv9500; I can tell you this: on the BV9500 my outgoing voice recording sounds absolutely gorgeous. On the bv6000 side, my incoming recorded voice is awful. Also, sometimes, on bv9500 the signal drops from 4G/3G to G or E while being in a call. Anyway, regardless of the signal being G or 4G the outgoing voice is almost uninteligible. On the other hand, it's not a carrier system (telephony service provider) fault, because outgoing voice from bv6000 is very good. Maybe the tech team of Blackview should look on the radio firmware? And I want to reiterate the need of having the EngineerMode back (I know it's possible, the BV9500 sample provided to Shenzhen SEM Test for FCC had EngineerMode on it). It might help users to find solutions instead of complaining on the forum. <<1. Find a patient and flexible interlocutor at the other end of the "wire"
3. In a calm tone, without hysterics and obscene words, speak with an agreeable comrade. Record the conversation to the recorder (During the conversation, the "Record" button appears. Adjust the volume of the interlocutor back and forth. 4. Listen to the recording. The interlocutor heard you in much the same way as you recorded yourself. If everything suits, close this topic. 7. Put the phone on the table so that it is about 30 cm from you to the phone. Press "Microphone 1". There will be a button on top that you need to press to start the test. Press the button, talk calmly, press again to finish recording the test. A button appears at the bottom to listen to the test recording. They listened, clicked "Exit" (or something like that, I don’t remember exactly) [on bv9500 there is no Exit button here, just press PASS after you listen to the recording] The setting is based on the assumption that the phone hears a signal weakened by the distance and automatically amplifies it. Exit from the secret settings menu. 8. Make pp 2, 3, 4. And I want to reiterate the need of having the EngineerMode back (I know it's possible, the BV9500 sample provided to Shenzhen SEM Test for FCC had EngineerMode on it). It might help users to find solutions instead of complaining on the forum. Hi, I also have microphone issues. 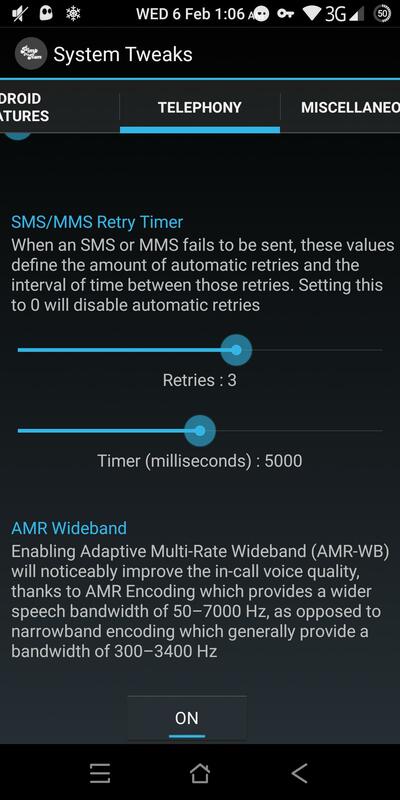 I read on a French forum that Chinese bandwidth is different from Western countries, and that switching from the 300-3400 Hz Chinese to the 50-7000 Hz AMR Western wideband fixes the problem for most Chinese phones. I had same problem and installed PIMP MY ROM V3.4 APP and activated WIDEBAND SECTION and it fixed the problem. I posted yesterday pic about it here yesterday but moderators don't apply my message i don't know why? I can post apk link as well it definitely fix the issue if you're rooted!